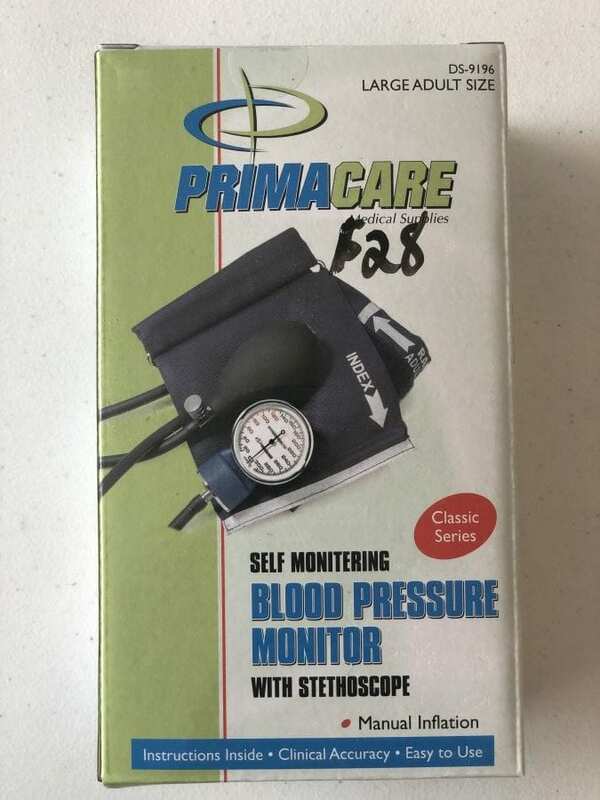 This Primacare Blood Pressure Monitor DS-9195 Classic Series gives you accurate readings 100 percent of the time. It comes with a durable, stain-resistant nylon cuff with Velcro closure that fits most adults with large biceps. This manual blood pressure monitor includes an aneroid sphygmomanometer and stethoscope. Index and range markings on the cuff ensure proper positioning. A black carrying case makes it easy to take this kit on the go.